Variable frequency drives come with factory default settings for most parameters that are more conservative in nature. The default value settings simplify the start-up procedure. 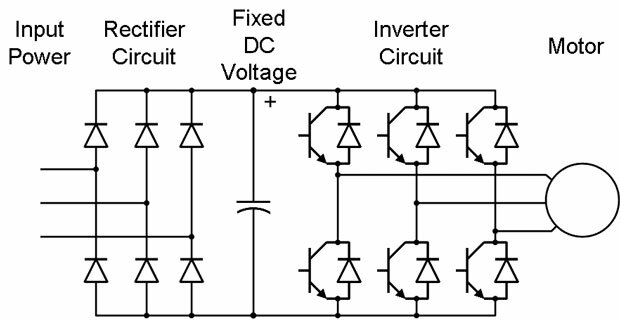 Tunable on the l y - Parameters can be adjusted or changed while the VFD is running or stopped. Response Original speed Desired new speed Desired speed (setpoint) Actual speed Deviation (error) PID controller output Proportional circuit Integral circuit Derivative circuit. Configurable - Parameters can be adjusted or changed only while the VFD is stopped. Read only - Parameters cannot be adjusted. P-00 minimum speed - Use this parameter to set the lowest frequency the VFD will output. Default setting is 0. P-01 maximum speed - Use this parameter to set the highest frequency the VFD will output. Default set ting is 60 Hz. P-02 motor overload current - Set this parameter to the motor nameplate full-load ampere rating. Default setting is 100 percent of the rated VFD current. 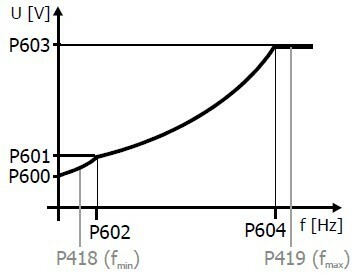 P-30 acceleration time - Use this parameter to define the time it will take the VFD to ramp up from 0 Hz to maximum speed. Default setting is 5.0 seconds. d-00 command frequency - This parameter represents the frequency that the VFD is commanded to output. d-01 output frequency - This parameter represents the output frequency at the motor terminals. 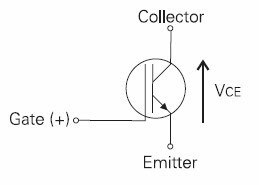 d-02 output current - This parameter represents the motor current. d-03 bus voltage - This parameter represents the DC bus voltage level.